Ranting and Raving – the June Edition. As June begins to wind down, let’s take a little look back at some of the things that stood out this past month. 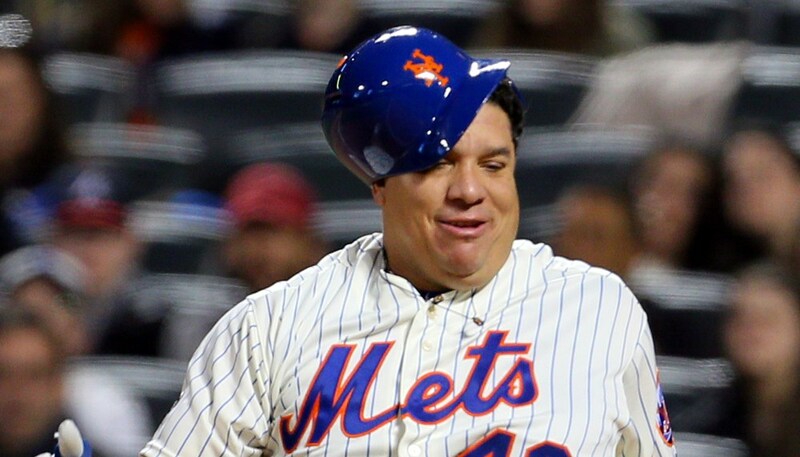 Saying that Bartolo Colon is a large mammal might be a slight understatement. Anyone who has ever seen the large man in action could tell you that Colon is one of those rare beauties who becomes coated in a glistening sheen of perspiration just by walking to the mound. 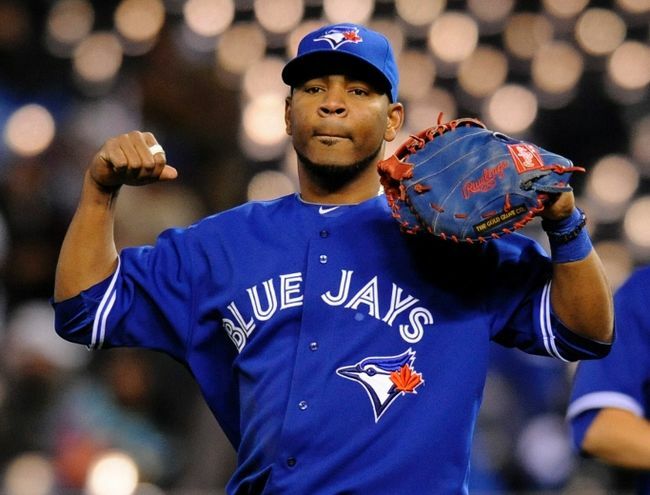 As a Jays fan, he makes me reminisce of our own moist man on the mound; Pedro Borbon Jr. When Bartolo decided to sign with the New York Mets in the offseason it immediately became known that any and all Bartolo starts this season were sure to become “must watch” TV. But it is not what Colon does on the mound that warrants our attention. It’s the fact that as a pitcher, in the NL, Bartolo must bat for himself when the pitchers spot comes up in the lineup. Now Colon, who has been in the bigs for 17 years, has collected 10 hits in just over 100 career at bats, yet he has remained hitless in 30 attempts this season. That was until last night. Yes, that is the big man “legging” out a stand up double for his first career double and extra base hit. Needless to say that Colon’s two-bagger would have been a three bagger for (almost) every other MLB hitter. Either way, watching the big man rumble out of the box and down the line, is one of the simple joys of being a baseball fan. Oh, by the way… Colon would score (FROM 2B) on an Eric Young Jr double. The Los Angeles Dodgers are (easily) one of the most storied teams in the history of the MLB. Their history goes back as far as 1884 when they played in the American Association as the Brooklyn Atlantics. When your history goes back some 130 years, you are bound to have been graced with some moments of historical importance. Everyone and their grandmother knows about Jackie Robinson and Branch Rickey. Anyone over the age of 50 will probably tell you that Sandy Koufax was the best damn pitcher that the game has ever seen – word of advice, don’t argue that. Hell, anyone over 40 can probably tell you about the frenzy that was Fernandomania! 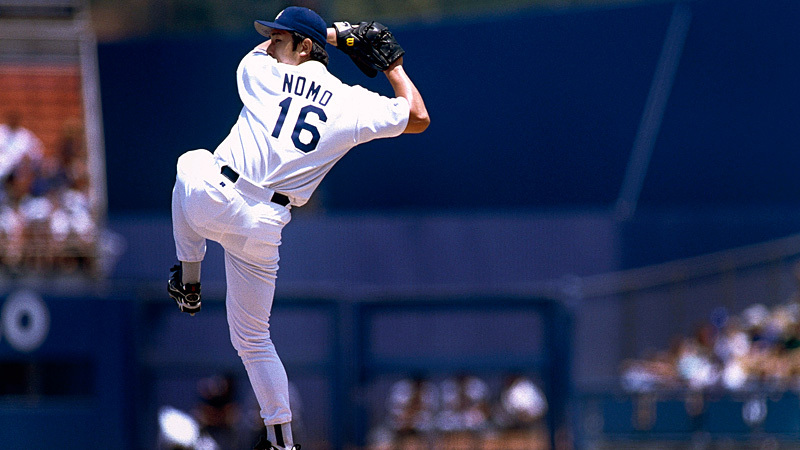 Even I got to watch the first wave of the Japanese invasion when Hideo Nomo was unleashed on the baseball world in 1995. Barring a dark stretch their in the 2000’s, when the team was owned by swindling owner(s) Frank and Jamie McCourt, the Dodgers faithful have been pretty spoiled when it comes to the talent that is on the field and what that talent is capable of doing. I mean really, which one do you want to talk about? Matt Kemp? Adrian Gonzalez? Zack Greinke? Hyun Jin Ryu? Oh… what about that Puig guy? He’s a pretty big deal these days, right? Hell, even Josh Beckett was able to dial the clock back to ’06 as he threw a no hitter back in late May of this year. 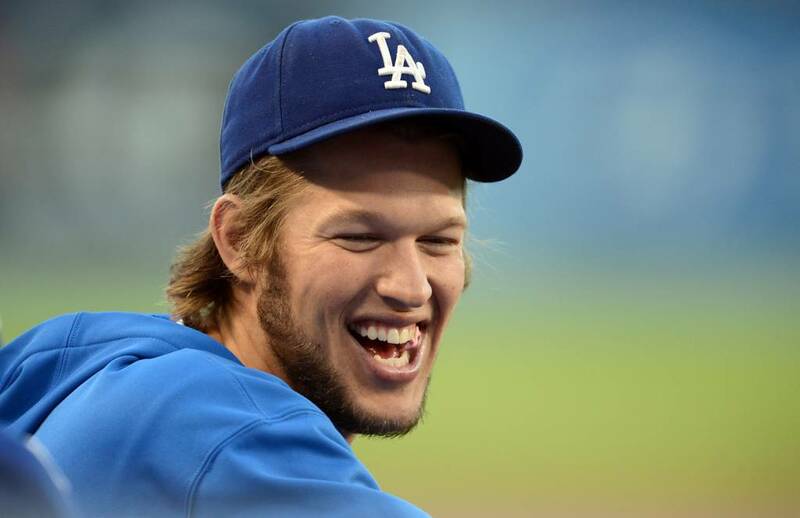 But all those guys (somehow) take a backseat to the (new) King of Chavez Ravine – Mr. Clayton Kershaw. You may have heard of Kershaw once or twice before. He is just (arguably) the best pitcher in the game today and EASILY the best left hander in the game. He also garnered headlines in the offseason when the Dodgers inked him to a lucrative 7 year/$125 million dollar deal, making him the first player in the MLB to average $30 million a year. After the deal was signed then the arguments begin. Is he worth it? Why pay a pitcher that kind of money? The only pitch every five days AND any kind of arm injury to Kershaw could be DEVESTATING. But the question that should be asked is: Is the juice worth the squeeze? 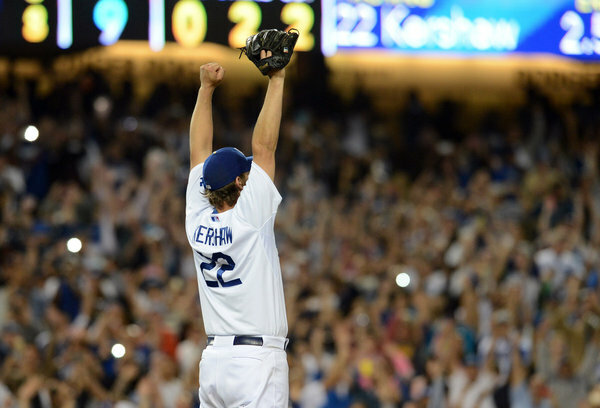 When it comes to Kershaw, the answer is a RESOUNDING yes! Even when Kershaw made his first trip to the DL to start the season, the answer was still YES! Even when he got lit up for 7 earned runs in 1.2 innings pitched, the answer was YES! I would easily trade EVERY player on all three major sporting teams in Toronto for Kershaw without a hesitation. That would still make me a better GM than Omar Minaya. Wednesday night against the Rockies, Kershaw took the mound and showed everybody once again why he is the best in the biz. If it weren’t for an errant throw by Hanley Ramirez in the 7th he would have been perfect. Instead he had to settle for being the 22nd pitcher in Dodgers history to throw a no hitter, the 25th in their history and their second this season alone. His 15 strikeouts were also a new career high. It was a performance definitely worthy of a shower in bubbles. A little over a month ago it was thought that the Kansas City Royals were DONE. Their offense was struggling, their starters were scuffling and their bullpen was the only silver lining. It was thought that the Royals would be sellers. That players like Billy Butler and James Shields would be sold off in return for prospects so that the Royals could start to rebuild… AGAIN! 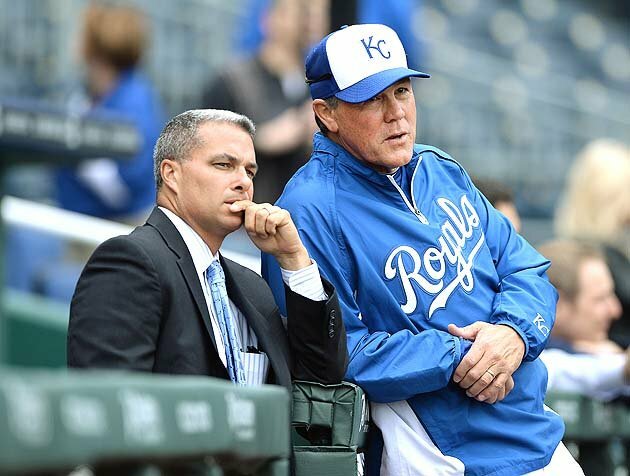 In fact, most people were wondering who would get axed first, Manager Ned Yost or GM Dayton Moore? The Royals were sinking in the standings as perennial losers like the Twins and White Sox surged past them. And then the streak started. To date the Royals have rattled off a 10 game winning streak, including a sweeping of the Tigers in DETROIT! Going into Thursday’s contest the Royals are now sitting atop the AL Central. This is largely in part to their exceptional offensive and defensive play over the 10 game winning streak but also due to the other teams in the AL Central playing SUB PAR ball. The Tigers, for instance, are 9-20 since May 19th. Over the past 19 games, the Royals have averaged 5.6 runs per game. As a team they are hitting for a .290 average, slugged 18 home runs, drove in 100 RBI and 106 runs scored in those 19 games. Now as hot as their offense has been, it has been their defense that has been saving the games as of late. Here is Lorenzo Cain robbing J.D Martinez of extra bases on Monday night. 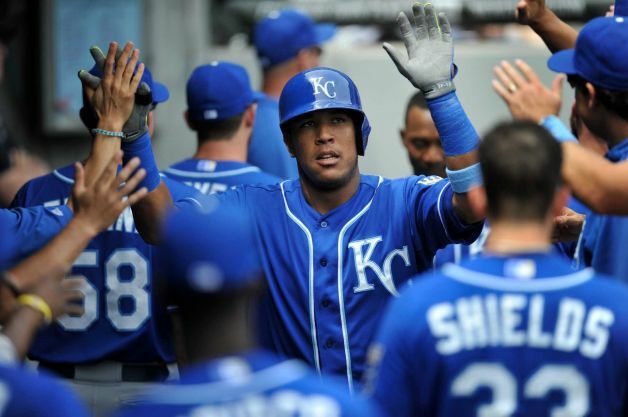 Who knows if the Royals will continue this torrid pace? They could pan out like the Blue Jays and cool off after their win streak comes to an end. Or they could parlay this streak into something bigger and continue to put pressure on the Tigers and Indians toward a pennant run. Either way, it makes for some entertaining games heading into the All Star Break. The baseball code is one of the most argued and debated topics in the game today. Players like Brian McCann and Cole Hamels take it upon themselves to “police” the game in honour of the code. 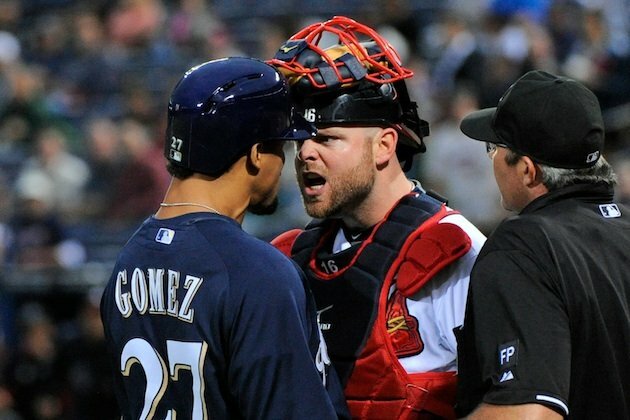 McCann was in the middle of two bench clearing scuffles last season when he believed that both Carlos Gomez and Jose Fernandez were in the wrong by “showing up” his pitcher and team while they pimped their HR’s and took their time running the bases. 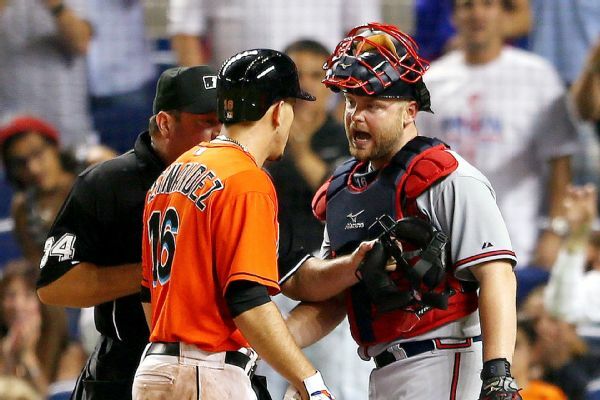 On both occasions, McCann blocked the plate in order to give the batter a piece of his mind. In this case, Gomez deserved to get a chewing out. The Fernandez one is a little different. Here you have a 21 year old rookie, who is also a PITCHER, hitting his first MLB HR. Yes he did pimp it. Yes he took his time. But COME ON. He is a kid! He is a pitcher! Personally, I think McCann was out of line on this one. It’s funny to note that the Fernandez incident occurred less than two weeks before the Gomez incident. Cole Hamels on the other hand infamously intentionally plunked Bryce Harper during an at bat after Harper, a rookie, had openly complained about the strike zone he was receiving. Hamels took no time in sending his message, as he hit Harper in the back with the first pitch during his AB. Those comments would earn Hamels a suspension from the MLB. Harper on the other hand would get his own revenge on Hamels as he stole home in the same inning that he was intentionally hit. 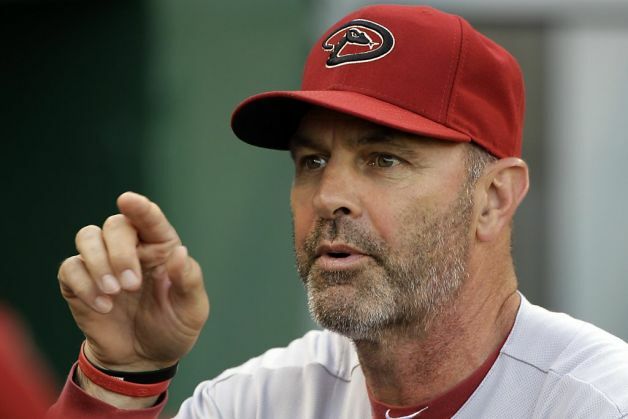 The reason I bring up the “code” of baseball is because the Diamondbacks and manager Kirk Gibson decided to take the code into their own hands against the Brewers on Tuesday night. The Diamondbacks were protecting a one run lead, had two outs and the Brewers had two men on with Ryan Braun coming to the plate. 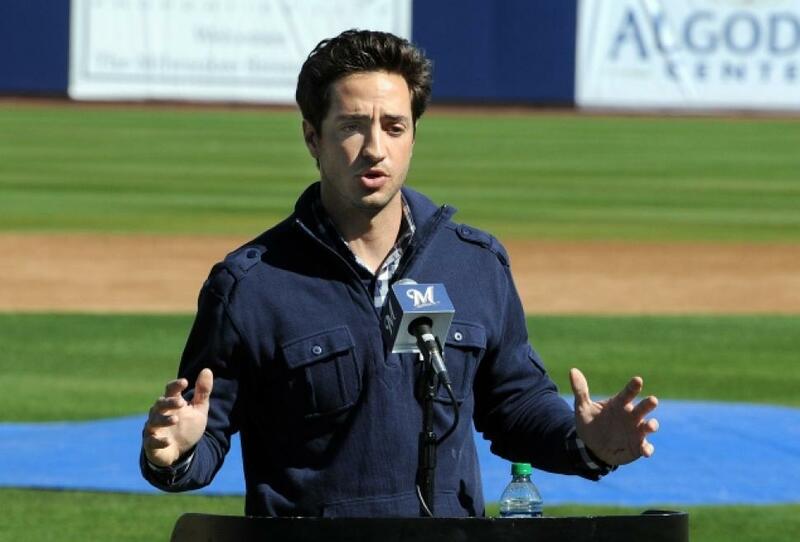 You may remember Ryan Braun. He was the 2011 NL MVP, perennial All Star and infamously suspended for 60 games last year for his role in a Biogenesis/PED scandal that HE LIED ABOUT BEING INVOLVED IN! Now the argument begins. Did the DBacks hit Braun in retaliation for Kyle Lohse hitting Chris Owings and almost hitting another batter? Maybe. Or is it more plausible/believable that plunking Braun had more to do with Braun disrespecting both the code and the game by juicing? Probably. I say this because of two reasons. 1) The DBacks were winning by a run and had two outs. All they had to do was walk Braun and warm somebody up. But they didn’t. In fact, they had NOBODY warming up in the ‘pen when Marshall hit Braun was subsequently ejected. Therefore a COLD Brad Ziegler had to come into the game and face a guy who had ALREADY gone yard in the game. 2) DBacks manager Kirk Gibson has not been one to shy away from the fact that he personally believes that it was a chemically enhanced Ryan Braun that single handily knocking the Arizona out of the playoffs in 2011. Even if this is true, Gibson picked the ABSOLUTE worst time to exact his revenge. It’s really not a great time to make bad managerial decisions, you know, when your team is floundering and Tony La Russa has been hired to “oversee” baseball operations in Arizona. Over under on Gibson getting canned is August 15th. I’ll take the under. The Blue Jays entered their three game set with the New York Yankees at Yankee Stadium with two surprising stats. 1) The Blue Jays were 4.5 games up on the Bronx Bombers for the AL East lead and, 2) The Blue Jays were 0-13 at Yankee Stadium going back to 2012. Clearly one of those stats was going to give. Of course the stat that would continue to increase would be the Blue Jays winless streak at Yankee Stadium (now at 0-15) and not their lead over the Yankees, which has now diminished to 2.5 games. Tuesday night’s contest saw two rookies pitted against one another in Marcus Stroman and Masahiro Tanaka. Stroman is a “true” rookie in the sense that he has never pitched in a Major League game until this season. Tanaka, on the other hand, had pitched multiple seasons in the Japanese Pro Leagues and was the prized offseason signing by the Yankees. Tanaka had been BETTER than advertised this season when he took his 10-1 record to the mound against the Blue Jays. 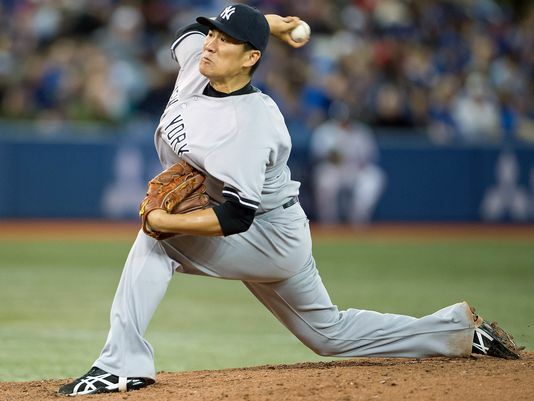 Even after Jose Reyes slammed the 1st pitch of the game into the bleachers for a 1-0 Toronto lead, Tanaka looked like a seasoned MLB ace as he shut the Jays down through 6 innings; adding 10 strikeouts on the way to his MLB leading 11 wins. Stroman didn’t look terrible but he didn’t look sharp either, as he needed 90+ pitches to get through 3.2 innings. Despite the short outing, Stroman’s only real blemish was a cheap 2 run HR off the foul pole by Brett Gardner. The cheap home runs would continue to haunt the Blue Jays heading into game two, as Brian McCann would hit a two run home run (that would have been a double in any other park) off Mark Buehrle in the 3rd inning. 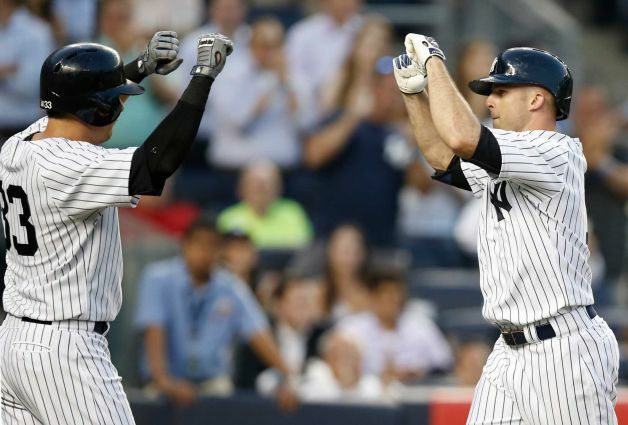 That blast would give the Yankees a 3-2 lead and McCann would add another 3 RBI with a bases clearing triple on the way to a 7-3 Yankees win. I feel for Mark Buehrle though. After starting 10-1, Buehrls has dropped his last 3 contests. 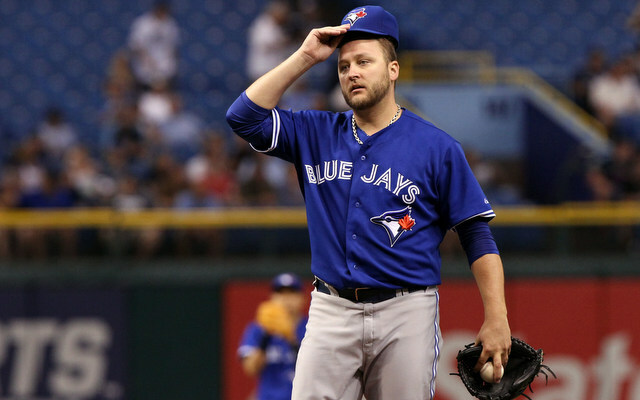 It hasn’t been Buehrle’s fault. The Jays offense has sputtered in those last few starts in the face of good pitching. The only knock against Buehrls has been his inability to hold leads when he has been given them. He hasn’t been rushing to give leads back like RA Dickey but he hasn’t been his usual control artist and hitters are smashing those mistakes. Lets hope that Hutch can stop the bleeding tonight. Thankfully the kid owns the 3rd best road record in the MLB. 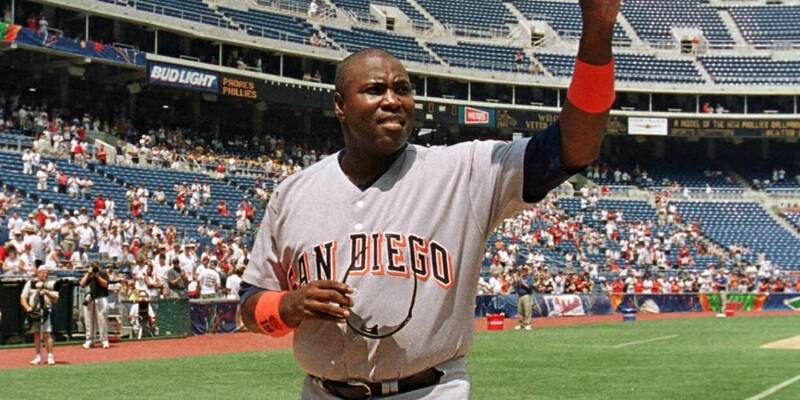 Tony Gwynn Sr. passed away Monday at the age of 54. The culprit was cancer of the salivary glands. 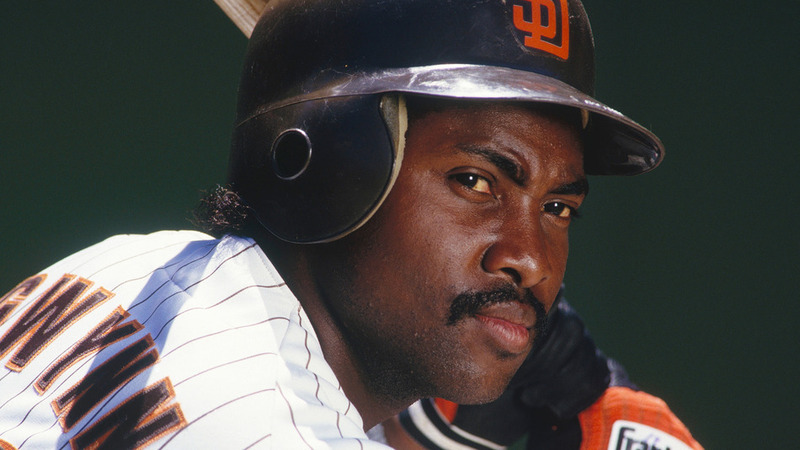 Although not medically proven, Gwynn has been adamant that his year of enjoying “smokeless” tobacco, or dip/chaw was what caused his cancer. Either way, the baseball world has lost another legend. 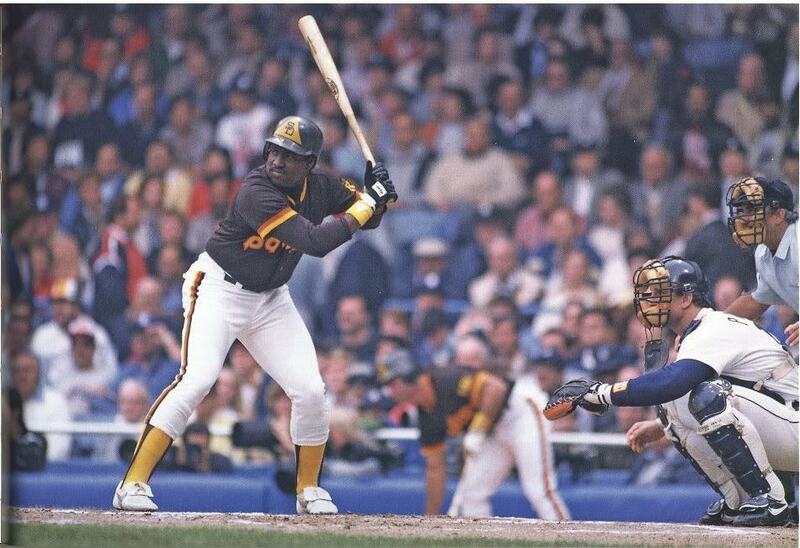 Tony Gwynn was easily in the top 5 Best PURE hitters that I ever saw and he is arguably on the top of that list. I could go on and on about how great of a hitter he was, it’s really not that hard, but it would be over saturation given the amount of praise and reflection that has been bestowed upon the man simply known as Mr. Padre. I will give you some food for thought from the career of one of the more underrated players in the history of the game. • His 3141 career hits are good for 19th all-time. • Hit over .300 in a season for 18 straight seasons (only Ty Cobb had more). • He was a 5x Gold Glove winner and a 15 time all star. • He NEVER struck out more than 40x in a single season and only logged 434 strikeouts for his career. In comparison, Mark Reynolds has struck out 1351x in an 8 year career and if you added together his two highest strikeout marks in a season (223 + 211) you get the exact number that Gwynn struck out in his 20 year career! Tony Gwynn was one of those players that I wish I paid more attention too. Unfortunately all I got to see was (barely) the last decade of his career when he had transformed from the guy who was capable of legging out infield hits and swiping 40 bags in a season, into the pudgy guy with an infectious smile who somehow always managed to flip the ball through the infield and into the outfield grass. I’ll leave you with three pieces of information that I have come across online since Gwynn’s passing. #Padres Tony Gwynn faced Greg Maddux 107 times in his career, more than any other pitcher; Gwynn batted .415, Maddux never struck him out. The second comes from (perhaps) the best hitter of all-time, Mr. Ted Williams. Whenever anyone asked Williams if another player would ever again hit .400 on a season, he only said that ONE PLAYER had a shot: Tony Gwynn. Winners of 11 of their past 13 contests, the current Beasts of the East role into Comerica for a three game tilt with the AL Central leading Detroit Tigers. The Blue Jays will send Drew Hutchison to the mound in game one to duel the Tiger’s Anibal Sanchez. Sanchez, who paced the AL in ERA a year ago, enters tonight’s contest with a 2-2 record and a 2.49 ERA over 43.1 innings this season. The reason for Sanchez’s low innings thus far was due to a blister issue on his throwing hand that forced him to the DL. Interestingly enough, Sanchez enters Tuesday’s contest against the Blue Jays having yet to yield a single long ball on the season. One has to wonder if that will streak will continue against the Blue Jays formidable offense, an offense that currently leads the MLB in HR and is 2nd in RBI, OBP and SLG. It doesn’t get any easier for the Jays after Tuesdays showing against Anibal Sanchez as they will go onto face both Rick Porcello and the imposing Justin Verlander. Not only is Verlander still considered among the top pitchers in the game but he also has no-hit the Blue Jays once in his career. 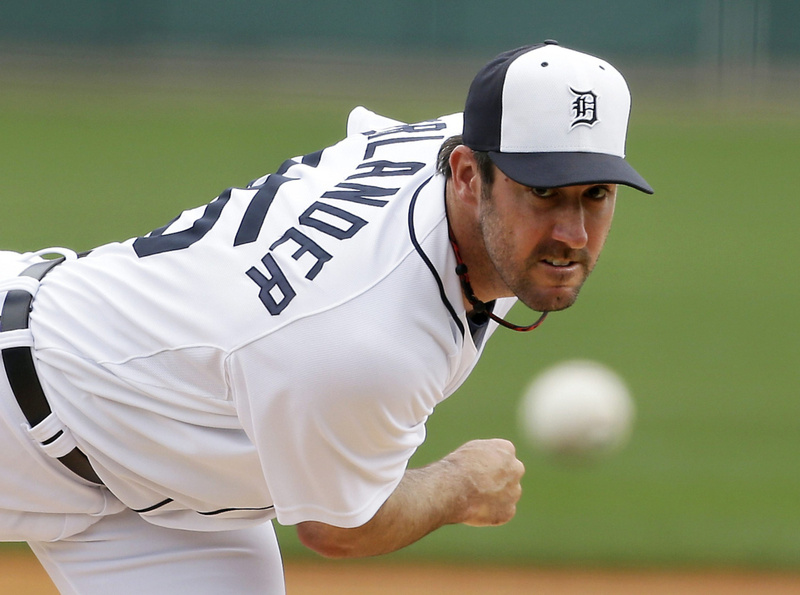 Verlander is one of those rare pitchers who has the ability to no-hit any lineup when he is on. For our sake, let’s hope he has a bit of an off day. The Blue Jays will need those bats to stay hot. Not just through the series with the Tigers but also for the weekend series against the Cardinals. Luckily for the Jays they will miss the Cardinals dangerous duo of Adam Wainwright and Michael Wacha. That being said, neither Lance Lynn, Shelby Miller nor Jaime Garcia (Cardinals probables for TO series) should be considered slouches. In fact any one of them would EASILY be considered the Blue Jays 2nd best starter. These next two series are hardly “make or break” for the Jays. The fact that they currently sit atop the AL East is a feat in itself; especially considering that most people had them written off (myself included) before the start of the season. However, the Blue Jays could use these next two series to make statements to the baseball world that they are in fact for real. Clearly back to back sweeps or even series wins would be what we are ALL hoping for. But even if they lose one or both of the series’ and have strong showings, that is still a moral victory that you can build off of. It will be interesting to see what does happen if the Blue Jays do in fact win both of these series. Will that be enough to show the Blue Jays front office and GM Alex Anthopolous that this could indeed be the year to go “all in” and perhaps make the deal to solidify their starting rotation? 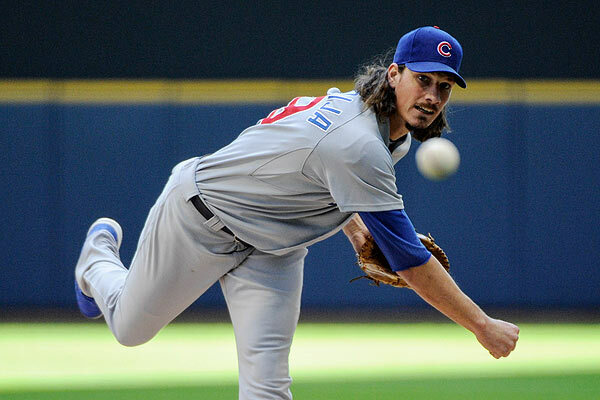 Bob Elliot of the Toronto Sun tweeted earlier today that trade talks were “heating up” between the Blue Jays and the Chicago Cubs in regards to Jeff Samardzjia. One would have to think that a potential rotation of Buehrle, Dickey, Sarardzjia, Hutchison and one of Happ or Stroman, looks pretty damn good entering the 100 game remaining mark. But first, the Blue Jays have to worry about the task at hand; getting through the Tigers and Cardinals.